the Humane Condition | Libertarianism. Capitalism. Anarchism. Freedom. And that is exactly what the remainder of Chapter 1 is about. My goal here is to condense Power and Market into a series of short posts that allows you all to absorb the valuable information it contains, in a time saving manner, and to produce an archive for future readers. As always, I’m open to suggestions and insights! 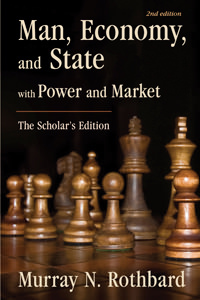 If I had to guess the way in which Rothbard would have begun his analysis of power and market, I would guess something along the lines of a chapter entitles “Defense Services on the Free Market,” and we would have been right. So here it goes. This essay is certainly off-topic in regards to the Humane Condition’s usual content, but it is a matter that I have been studying for the past several weeks that I think many of you will find interesting. My main source while writing this was a book by a professor of mine, Black Skin, White Coats by Dr. Matthew Heaton. There are no overt anti-state themes in the essay, I trust you will find within it evidence of Statism and how nations that were colonized by “foreign” states experienced Statist oppression. If you enjoy this essay I highly recommend Dr. Heaton’s book as a fascinating, and in depth history of psychiatry in Nigeria specifically. bridge the gap from the established theories of ethnopsychiatry towards a more universal model. psychiatry in Africa and Global psychiatry itself. powers. A new emergence in the field of psychiatry, called ethnopsychiatry also contributed. “inferior” African races from widespread mental illness caused by such changes. who built on the earlier surveys of Nigerian psychiatry conducted by Dr. R. Cunyngham Brown. In 1955, Carothers was commissioned to survey the state of Nigerian psychiatry yet again. supposedly possessing an inferior psyche that was unable to deal with rapid social change. ethnopsychiatrists constructed a theoretical framework based in racism. move Western psychiatric theory away from the colonial ethnopsychiatric theories that prevailed. foundations of western psychiatric theory. “European-type” institution that Lambo relied on. could “Westernize” people via forceful occupation. Western, and in fact, global psychiatric theories. Psychiatry Heaton, Heaton. Athens, Ohio: Ohio University Press, 2013. York: Grove Press, Inc, 1965.